The Zayandeh-Rud River basin, Iran, is projected to face spatiotemporally heterogeneous temperature increase and precipitation reduction that will decrease water supply by mid-century. With projected increase (0.70–1.03 °C) in spring temperature and reduction (6–55%) in winter precipitation, the upper Zayandeh-Rud sub-basin, the main source of renewable water supply, will likely become warmer and drier. In the lower sub-basin, 1.1–1.5 °C increase in temperature and 11–31% decrease in annual precipitation are likely. A system dynamics model was used to analyze adaptation strategies taking into account feedbacks between water resources development and biophysical and socioeconomic sub-systems. Results suggest that infrastructural improvements, rigorous water demand management (e.g., replacing high water demand crops such as rice, corn, and alfalfa), and ecosystem-based regulatory prioritization, complemented by supply augmentation can temporarily alleviate water stress in a basin that is essentially governed by the Limits to Growth archetype. An erratum to this article is available at http://dx.doi.org/10.1007/s11269-017-1690-x. Climate change alters components of the hydrologic cycle, increasing the frequency of extreme events (Huntington 2006; Hao et al. 2013; Prein et al. 2016), and changing temporal and spatial availability of water resources in different regions (Huntington 2006). It affects people, natural resources, and ecosystems around the world by increasing water scarcity (Milly et al. 2005; Bekele and Knapp 2010; Vaze et al. 2011; Mirchi et al. 2013; Madani et al. 2016), food insecurity (Parry et al. 2004; Schmidhuber and Tubiello 2007; Gohari et al. 2013a; Stevens and Madani 2016; Msowoya et al. 2016) and environmental stress (Harley et al. 2006; Walther 2010). Timely adaptation to climate change is a critical challenge for human societies and ecosystems. Adaptation generally refers to adjusting the system’s behavior and characteristics to cope with potential negative consequences of climatic change, or to take advantage of potential opportunities (Tol et al. 1998; Smit et al. 2000; UNDP 2005). Climate change adaptation has received growing attention as an important response strategy and management option to reduce vulnerability and enhance resilience in different sectors, including water resources (Connell-Buck et al. 2011; Charlton and Arnell 2011; Sowers et al. 2011; Hanak and Lund 2012; Iglesias et al. 2013), agriculture (Reidsma et al. 2010; Olesen et al. 2011; Klein et al. 2013), energy (Madani and Lund 2010; Guegan et al. 2012; Jamali et al. 2013; Madani et al. 2014) and environment (Palmer et al. 2009; Cross et al. 2013). System dynamics (SD) simulation enables analysts to account for interactions among disparate but interacting sub-systems that drive the long-term system behavior (Forrester 1961, 1969; Ford 1999; Sterman 2000), making the approach different from simulation models that work based solely on if-then-else analyses of different operation rules. This distinction has made SD a popular framework for analyzing water resource problems (Winz et al. 2009; Mirchi et al. 2012) that naturally involve complex dynamics and uncertainty (Mirchi et al. 2010; Hjorth and Madani 2014). The approach has been implemented to identify climate change impacts on water resources systems (Simonovic and Li 2003, 2004; Langsdale et al. 2007; Prodanovic and Simonovic 2010; Hassanzadeh et al. 2012; Xiao-jun et al. 2014). In this study, the Zayandeh-Rud Watershed Management and Sustainability Model 2.0 (ZRW-MSM 2.0), an integrated SD model (Gohari et al. 2013a), has been applied under a range of plausible climate change scenarios to investigate impacts on the Zayandeh-Rud River basin. Population growth and frequent droughts have caused unprecedented water shortage in the basin in recent decades. The region will likely face warmer and drier conditions in the near-term future (2015–2044) (Gohari et al. 2014) with deleterious impacts on agriculture (Gohari et al. 2013a), and Gav-Khouni Marsh, an internationally recognized ecosystem under the 1971 Ramsar Convention. Policy makers strive to meet the increasing water demand through inter-basin water transfer projects whose success is short-lived due to poor understanding of feedbacks between the supply-oriented water management and the basin’s socioeconomic dynamics, which sets the pace for the growth in water demand (Madani 2014). The framework takes into account the interplay of biophysical processes, water resources management actions and associated socioeconomic dynamics. The magnitude of key climate parameters (e.g., temperature and precipitation) and socioeconomic processes that form complex feedback relationships cannot be projected with certainty, reducing the ability to devise effective adaptation policies (Dessai and Van Der Sluijs 2007). To address this limitation, ensemble climate change projections (Raje and Mujumdar 2010; Zareian et al. 2014) are used to analyze adaptation strategies for this agricultural, industrial, and environmental hotspot. The semi-arid Zayandeh-Rud River basin covers an area of over 26,917 km2 (Fig. 1). The Zayandeh-Rud River, the largest river in central Iranian Plateau, starts in the Zagros Mountains in the west and flows eastward to the Gav-Khouni Marsh. With an average flow of 1400 million cubic meters (MCM) per year, including 650 MCM of natural flow and 750 MCM of transferred flow, the Zayandeh-Rud River plays a vital role in providing water for nearly 5 million residents, a number of nationally important industries, and over 200,000 ha of agricultural land where more than 70% of the basin’s water supply is used (Zayandab Consulting Engineering Co. 2008). Due to inadequacy of surface water, groundwater resources help meet more than 70% of the basin’s total demand (Zayandab Consulting Engineering Co. 2008). Cumulative probability distributions for change field scenarios were developed and climate scenarios corresponding to 25th, 50th and 75th probability percentiles were extracted. The LARS-WG stochastic weather generator (Semenov 2007) was used to generate daily temperature and precipitation time series for extracted change field scenarios under the selected probability percentiles. Monthly runoff was generated by a lumped IHACRES model (Jakeman and Hornberger 1993), which uses a non-linear loss module to estimate effective rainfall amount based on the temperature and rainfall. The estimated effective rainfall is then converted to runoff hydrograph through a linear unit hydrograph module to simulate the natural stream flow to the Zayandeh-Rud Reservoir. The upper sub-basin has an area of about 4000 km2 with relatively uniform land use and soil parameters. The Agro-Ecological Zones (AEZ) method (Fischer et al. 2002) was used to assess the climate change impacts on agricultural water demand. In the AEZ framework, a crop-specific soil water balance model (Tao et al. 2003) was used to calculate soil water balance under climate change scenarios. The soil water storage was divided into two parts: snow–cover and soil–moisture. The daily soil moisture content was defined as a function of crop evapotranspiration, precipitation, snowmelt, and antecedent soil moisture content (Gohari et al. 2013a). The historical (1971 to 2000) flow time series from Chadegan hydrometric station, where the total inflow to the Zayandeh-Rud Reservoir is recorded, was used to simulate the reservoir inflow under climate change. Furthermore, measured precipitation and temperature data from 18 weather stations (Fig. 1) were utilized to assess the impact of changes in climatic variables throughout the basin. System dynamics modeling involves the following steps: (1) articulating the problem and defining system boundary; (2) developing a conceptual model or casual loop diagram (CLD) of the system; and (3) developing a stock and flow diagram (SFD) to build a simulation model; (4) evaluating model performance; and (5) analyzing policy options. The CLD of the system represents holistic understanding of the system structure, consisting of positive and negative casual relationships between components, which may form balancing and reinforcing feedback loops. The SFDs are developed to illustrate accumulations and depletions in response to flows within the system. Zayandeh-Rud River Watershed Management and Sustainability Model 2.0 (ZRW-MSM 2.0) (Gohari et al. 2013b), an extension to ZRW-MSM (Madani and Mariño 2009), was used to evaluate climate change adaptation strategies. Vensim (Ventana Systems 2010), an object-oriented simulation environment was used to build and run the SD model, which comprises hydrological, socioeconomic, and agricultural sub-systems. The hydrological sub-system includes components of the hydrologic cycle (e.g., precipitation, and groundwater and surface water interaction), water supply, and ecosystem (Fig. 2). Inter-basin water transfer has increased water availability to meet the growing demand. The ordinal priorities of water allocation are assumed as domestic, industrial, agricultural, and finally, environmental. Surface water resources are used to meet these demands, and groundwater is extracted when surface water falls short. The socioeconomic sub-system captures the state of socioeconomic development, residents’ utility, and water demand of various users. National economic growth rate is an exogenous factor affecting residents’ utility, i.e. their satisfaction (Fig. 2). It is assumed that resultant effects of per capita water use, value added from water use, national economic growth rate, and the watershed’s Gross Regional Product (GRP) relative to neighboring regions determines the residents’ utility. Higher economic growth rate in the basin will lead to more development as compared to neighboring basins, which will provide more job opportunities, deriving in-migration, and consequently growing water use and demand. Agricultural land use decisions are assumed to be based on income-maximization. Ten crop types are included in the agricultural sub-system (Fig. 2), namely wheat, barley, potato, rice, onion, alfalfa, corn, garden products and vegetables, and cereal and legume. Land area for each crop is defined as a function of the corresponding net economic benefit in the previous year. The expected agricultural water demand is the sum of expected water demand for all crops. Because of water scarcity in the basin, “delivery rate” is defined as the proportion of agricultural water demand that can be fully satisfied using available water supply. The land area for each crop is estimated by adjusting the expected land area for that crop based on the water delivery rate. The ZRW-MSM 2.0 was used in a two-step procedure. In the first step, the model was run under different combinations of seven hydrologic and water demand scenarios. The scenarios include Business as Usual (B.a.U.) and climate projections under A2 and B1 emission scenarios. Under B.a.U. agricultural water demand and hydrological parameters (i.e., temperature, precipitation, runoff, and reservoir inflow) were assumed to be similar to baseline period (1971–2000). Other scenarios were constructed by projecting agricultural water demand and hydrological parameters at 25%, 50%, and 75% probability percentiles under A2 and B1 emission scenarios. In the second step, various water resources management strategies were simulated using the ZRW-MSM 2.0 model. The adaptation policy analysis involves trial and error to compare the effectiveness and flexibility of different policies under climate change scenarios (i.e., climate change probability percentiles). Four indices were used to evaluate the performance of different adaptation policies. These include reliability, vulnerability, maximum deficit, and an integrated system performance indicator. where D is water deficit and N is the number of the number of time steps or the length of the simulation period (McMahon et al. 2006). Figures 3 and 4 show the projected changes in annual temperature and precipitation at different climate change probability percentiles under A2 and B1 emission scenarios for the 2015–2044 period relative to the baseline (1971–2000). All the selected GCMs suggest higher future annual mean temperatures in the study area while the range of expected changes varies across different parts of the basin. The maximum expected temperature increases are estimated in the eastern and western parts of the basin. The central parts of the basin will experience the lowest levels of temperature change. The amounts of annual temperature changes under the B1 emission scenario are greater than the changes under the A2 emission scenario for all climate change probability percentiles. The expected changes of monthly temperature show a general increasing trend from west to east except for January in the west, while the levels of increase vary between months (Table 1). The upper and lower sub-basins will face the maximum temperature rise during spring months in March, April, and May. Figure 4 suggests a negative change in future annual precipitation except for 25% climate change probability percentile under A2 emission scenario (A2–25%). The maximum expected precipitation decrease is generally estimated in the western and central parts of the basin (upper sub-basin). Annual precipitation reductions under the B1 emission scenario are greater than the changes under the A2 emission scenario for all other climate change probability percentiles. The changes in monthly precipitation across the basin do not indicate a general trend (Fig. 5). In the upper sub-basin, the local precipitation has a general decreasing trend except under A2–25% scenario. The maximum reductions in monthly precipitation of the upper sub-basin are expected in January, April and May. By contrast, the lower sub-basin precipitation changes do not show a general decreasing trend. The maximum monthly precipitation decrease in the western parts occurs in winter. It should be noted that including additional GCM outputs to create an exhaustive set of projections based on all available climate models can expand the uncertainty of future climatic conditions. Overall, the expected impacts of climate change based on the 10 selected GCMs are found to be heterogeneous across the basin. With 6–55% reduction in winter precipitation and 0.70–1.03 °C increase in spring temperature, the upper sub-basin will likely face warmer and drier conditions. This can be of considerable importance for the Zayandeh-Rud River basin with semi-arid Mediterranean climate where winter precipitation in the upper sub-basin is the main source of renewable water supply, especially for the eastern parts of the basin. The expected reduction in renewable surface water supply coupled with 11–31% decrease in annual precipitation and 1.1–1.5 °C increase in temperature can intensify the current water shortage in the lower sub-basin during 2015–2044. The expected trend of temperature increase in the upper sub-basin will lead to more precipitation falling as rain, instead of snow, and also earlier melting of snowpack in the spring. Reduced snowfall will generally lead to a decrease in the stream flow. Consequently, the peak of stream flow and its seasonal amplitude will decrease. The expected annual and seasonal changes of 30-year mean stream flow under climate change scenarios are presented in Fig. 6. The results indicate climate change can severely affect the water supply in the lower sub-basin due to significant potential reduction of stream flow (i.e., 8–43%). The maximum reduction in seasonal stream flow for spring can range from 27% to 48%. The irrigation water requirement of all crops is expected to increase due to higher crop water demand (Fig. 7). The changes are consistent with the projected temperature trend in the study area. Irrigation water demand changes for garden products, onion and rice are larger than the changes for the other crops due to higher evapotranspiration in higher temperatures. Similar to the temperature changes, the ranges of expected increase in the selected crop water demands are larger under B1 emission scenario. The maximum projected values of changes in irrigation water requirement are 35%, 30% and 30% for garden products, onion and rice, respectively. 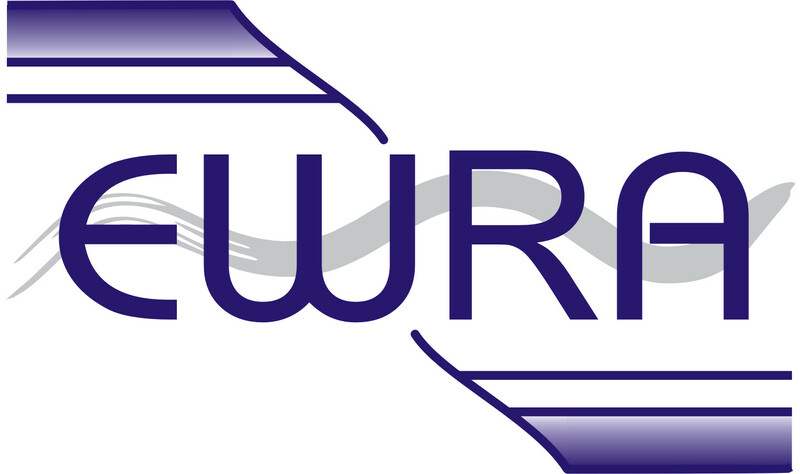 The ZRW-MSM 2.0 model was run under the climate change scenarios to assess the effects on the water resources system during 2015–2044. Figure 8 shows the behavior of selected model variables. The negative effects of climate change on water resources availability leads to lower levels of residents’ utility, reducing the growth rates of industrial and domestic water demands and population as compared with Business as Usual (B.a.U.). Table 2 presents the projected impacts of climate change on different water use sectors. The highest levels of residents’ utility are expected under moderately warm-wet scenario (A2–25%). The lowest levels of residents’ utility are estimated under warm-wet scenario (B1–75%). Increase in industrial and domestic water demands, and population are lower than B.a.U. and A2–75%; groundwater withdrawal are 15% higher than BaU and 4.3% higher than A2–75%; most severe agricultural water shortage (36% and 17% higher than B1–50% and A2–75%, respectively) expected throughout the simulation period. Climate change will intensify the current environmental and agricultural water stress in the basin. Increasing temperature generally raises evapotranspiration rates and consequently agricultural water demand, leading to more groundwater extraction to meet farmlands’ irrigation requirement. Without any modification to the current local water resources management policies, Gav-Khouni Marsh will not receive any water during 2015–2044 period. The simulated environmental and agricultural water shortages are larger under B1 emission scenario than under the A2 scenario due to more rapid population growth and socioeconomic expansion in the near future. The basin will experience the most severe agricultural and environmental water shortage for the 75% climate change probability percentile under B1 emission scenario (warm-wet scenario) throughout the simulation period. A number of water supply and demand management policies are analyzed as adaptation strategies based on the results of the climate change impacts assessment. Each adaptation policy package is defined by changing one or more exogenous parameter(s) of the model to represent, for example, likely changes in the leakage of water supply networks, agricultural water use efficiency, cropping pattern, and surface water withdrawal (Table 3). Coefficients of agricultural water use efficiency and leakage of water supply networks are defined at two levels. The first level represents business as usual, i.e., agricultural water use efficiency of 45% and leakage coefficient of 20% for urban and rural water conveyance network. The Adaptation level I indicates the improvement of efficiencies in water use and water conveyance. Therefore, in line with the goals set in the Fifth Development Plan of Iran (Vice-Presidency for Strategic Planning and Supervision 2011), agricultural water use efficiency and leakage coefficient of urban and rural water conveyance network were considered as 70% and 15%, respectively. Since water is the major limiting factor for agriculture in arid and semi-arid regions, cropping change can be considered as a climate change adaptation policy. High water requirements of rice, corn, and alfalfa indicate that continued cultivation of these locally high value crops may not be justified under climate change from a water management perspective. Based on this finding, the agricultural water demand is defined as an exogenous parameter at three levels (Table 3). The adaptation levels I and II represent the proposed changes in the basin’s cropping pattern in comparison to the current condition (B.a.U.). In recent years, Gav-Khouni Marsh has not been receiving its minimum water right from the Zayandeh-Rud River, triggering severe ecosystem degradation (Nikouei et al. 2012). Water allocation is defined as an exogenous parameter in two ways, representing the change in the water allocation priority. In adaptation level I, water allocation to the environment has been given higher priority than agriculture as opposed to B.a. U whereas in adaptation level II, allocation priorities are defined as domestic, industrial, environmental and agricultural. Three inter-basin water transfer projects have been implemented to alleviate the basin’s water shortage. Given the inadequacy of transferred water, a number of additional inter-basin water transfer projects are currently under development to ease the water shortage in the next decades (Table 4). Therefore, an exogenous water supply parameter is defined at two adaptation levels to evaluate water transfer as a reliable adaptation strategy. The adaptation policies (AP) are summarized in Table 5. Table 6 presents the values of adaptation performance indices under various policy packages. The indices were separately calculated for each sector to better understand the climate change effects on each water sector. The index values for domestic and industrial water demands are not reported here because these demands are fully satisfied. Under B.a.U., the Re and ISPI indices are equal to zero and VuI index is 1, while population and industrial and domestic water demands increase over the 2015–2044 simulation period. Severe agricultural and environmental water shortages are expected due to high agricultural water demand and environmental water shortages, which will cut off the flow to the Gav-Khouni Marsh. The Zayandeh-Rud River basin’s climate change adaptation strategy should include a combination of infrastructural improvements, demand management (especially in the agricultural sector), and ecosystem-based regulatory prioritization, complemented by supply augmentation. Implementation of water transfer projects along with changing cropping pattern under adaptation level II, and improving irrigation efficiency and allocation priority under policy package AP7 can supply sufficient water for environmental and agricultural demand in the simulation period under various climate change probability percentiles. Maximum ISPI of 1 for environmental and agricultural water supply indicates that this policy package provides a promising adaptation strategy. Coupled supply oriented and demand management strategy under policy package AP6 can reduce water shortage by increasing surface water supply and raising agricultural water use productivity. The minimum environmental flow requirements of the Gav-Khouni Marsh can be met under this policy package for various climate change and water demand scenarios (reliability and vulnerability indices for the environmental water sector are 1 and 0, respectively). Implementation of policy package AP6 can also supply sufficient water for agricultural demand in the whole period under 25% and 50% climate change probability percentile. Under this adaptation policy, agricultural water demand will be fully satisfied 95–98% of the time under warm-moderately dry and warm-dry climate change scenarios. The values of ISPI indices for environmental and agricultural sectors indicate that the policy package AP6 can be an effective adaptation strategy under various climate change conditions. Increasing water supply while modifying water demand and allocation priority under policy package AP5 can help meet environmental demand in the future. Maximum ISPI indices of 1 for environmental water supply indicate that policy package AP5 is an environmentally friendly adaptation strategy. Successful implementation of AP5 will also provide sufficient agricultural water under moderately warm-wet and moderately warm- moderately dry climate change scenarios. Implementation of water transfer projects along with demand management (Adaptation level II) under policy package AP4 increases surface water while strengthening a balancing feedback that can potentially slow down development and population growth due to lower level of resident’s utility. AP4 will help provide sufficient water for the environment and agriculture under moderately warm- moderately dry and warm- moderately dry climate change scenarios. The policy package AP4 includes a set of promising climate change adaptation strategies as suggested by ISPI of 1 for agricultural water supply under different climate change and water demand scenarios. Dynamic behavior of the Zayandeh-Rud River basin’s water resources system under climate change has the characteristics of the Limits to Growth archetype (Meadows et al. 1972). This archetype states that exponential growth processes will inevitably decline because of limited naturally available resources (Fig. 9). Eventually, despite the continued push for growth, the rate of growth will decrease until it stops and then reverses (Braun 2002). The essential impacts of climate change on the water resources system are depicted in Fig. 10. Watershed development raises the residents’ utility, attracting more people to settle in the basin. Continuous watershed development and population growth due to in-migration will increase water consumption. High levels of residents’ utility and water consumption at the basin scale will create a perception of development potential, which promotes watershed development (reinforcing loop) (Gohari et al. 2013b). However, unless effective climate change adaptation strategies are adopted, the water resources availability in the basin will significantly decline, in turn, increasing the water stress and conflict over limited resources with most shortages occurring in the agricultural and environmental sectors. The expected 0.70–1.03 °C increase in spring temperature coupled with 6–55% reduction in winter precipitation, as the main source of renewable water supply in the upper sub-basin, will reduce the stream flow, affecting available water supply for different water users in the lower sub-basin. In an extreme case, the lower level of watershed development rate due to intensified water shortage under climate change will ultimately reduce the basin’s water demand growth rate (balancing loop). The Zayandeh-Rud River basin has frequently faced water shortage during the past 60 years as a result of adopting policies that relaxed the biophysical limits (e.g., water availability) to socioeconomic growth (Madani and Mariño 2009; Mirchi et al. 2012; Gohari et al. 2013b). The unrestricted watershed development is expected to encounter a balancing process which is activated and catalyzed by climate change. The regional water management efforts should focus on effective planning and management of water use, especially in the agricultural sector and environmental flow regulation. Counter-intuitively, although supplying more water through water transfer projects will increase the water availability in the short run, it ultimately increases the basin’s water demand by boosting the unsustainable socioeconomic development. Therefore, implementation of a supply-oriented adaptation policy alone will not effectively mitigate the expected climate change effects on the basin’s water availability. Furthermore, implementation of agricultural water demand management strategies through improving the irrigation efficiency and cropping pattern alone cannot be a reliable strategy to address the negative impacts of climate change. 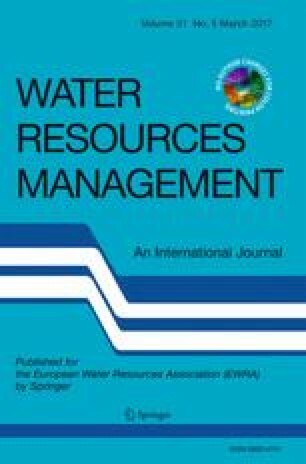 Rather, a mix of strategies, including sectoral demand management, ecosystem-based water allocation rights, along with supply enhancement should be considered in order to increase the reliability of meeting demand for human uses while mitigating detrimental ecological impacts of anthropocentric water resources management. Producing crops with high water demand (i.e., rice, corn, and alfalfa) and the low irrigation efficiency of 34–42% are considered to be the main reasons for high agricultural water demands. Supply-oriented strategies under adaptation level I coupled with modified cropping pattern (e.g., policy package AP4) can help adapt the agricultural sector. The AP4 policy package can also create appropriate adaptation capacity for the environmental sector under warm, moderately dry conditions. Increasing the water supply under adaptation level II coupled with effective water demand management measures (policy packages AP6 and AP7) can provide sufficient water for all water users under different climate change and water demand scenarios. It is urgent that basin-wide operational water demand and supply management strategies be developed in order to adapt the system to the expected warm and dry climate change scenarios. Climate change adaptation strategies should be based on a holistic view of dynamic processes and interactions within water resources systems, accounting for the system’s socioeconomic and environmental dimensions along with hydrological attributes. The SD approach is used here to represent the feedback loops within the Zayandeh-Rud Basin’s complex water resources system structure under a changing climate. Ten GCMs were used under two emission scenarios (i.e., A2 and B1) to project climate change impacts on the Zayandeh-Rud River basin. To deal with uncertainty in the climate change assessment, a multi-model ensemble of the GCM outputs was used and climate change scenarios at three different probability percentiles (25%, 50%, and 75%) were considered. ZRW-MSM 2.0 SD model was used to investigate the system’s trends in response to socioeconomic and climate change, generating insights for climate change adaptation strategies and the basin’s long-term development path. While the projected climate change effects vary greatly, overall they indicate that the Zayandeh-Rud River basin with semi-arid Mediterranean climate and continuous watershed development is highly vulnerable to climate change. The upper Zayandeh-Rud sub-basin, the main source of renewable water supply, will likely face warmer and drier conditions with 6–55% reduction in winter precipitation and 0.70–1.03 °C increase in spring temperature. 11–31% decrease in annual precipitation and 1.1–1.5 °C increase in temperature is likely in the lower sub-basin. These changes can reduce the stream flow by 8–43%, causing a significant decline in the surface water supply in the lower sub-basin. The results suggest that global warming impacts on water supply and demand increase the pressure to curb the socioeconomic development and population growth, the main drivers of the historical water scarcity in the basin. Given the strategic importance of water availability for ecosystem health and food security, adaptation strategies must be adopted to mitigate the impacts of projected climate and socioeconomic changes on the basin’s water resources system. Climate change adaptation should simultaneously focus on water demand and supply management. Water demand management in the basin can be improved by increasing the efficiency of agricultural water use and encouraging a cropping change to produce water-efficient crops. Water supply enhancement through inter-basin water transfer should only be implemented as a measure of last resort, supplementing vigorous water demand management policies. Prein AF, Holland GJ, Rasmussen RM, Clark MP, Tye MR (2016) Running dry: the U.S. Southwest’s drift into a drier climate state. Geophys Res Lett 43. doi: 10.1002/2015GL066727. Ventana Systems (2010) User’s guide version 5, Ventana Systems, Inc. Retrieved from http://www.vensim.com.